George Pickett was born in 1825. He graduated from the Military Academy at West Point in 1846 at the very bottom of the 59 man class. Commissioned in the Infantry he won a brevet during the the Mexican War (1846-48). On the outbreak of the American Civil War he joined the Confederate Army and was commissioned as a colonel in the Gamecock Brigade. He fought at Williamsburg and Fair Oaks in May, 1862, before being severely wounded in the shoulder at Gaines's Mill. 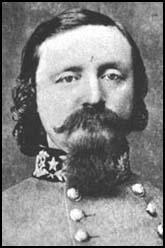 Promoted to the rank of major general, Pickett was sent to help defend Fredericksburg. 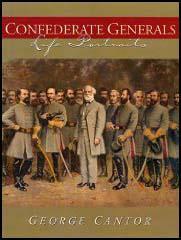 In the summer of 1863 Robert E. Lee decided to take the war to the north. The Confederate Army reached Gettysburg, Pennsylvania on 1st July. The town was quickly taken but the Union Army, led by Major General George Meade, arrived in force soon afterwards and for the next two days the town was the scene of bitter fighting. Attacks led by Pickett, James Jeb Stuart and James Longstreet proved costly and by the 5th July, Lee decided to retreat south. Both sides suffered heavy losses with Lee losing 28,063 men and Meade 23,049. In September, 1863, Pickett was sent to recuperate and recruit more men in Virginia. 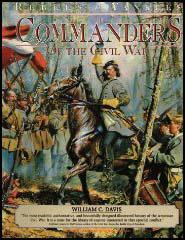 He became commander of the Department of Virginia and North Carolina and took part in action at Drewry's Bluff (May, 1864) and Cold Harbor (June, 1864). On 1st April 1865 Philip H. Sheridan attacked Pickett and James Longstreet at Five Forks. 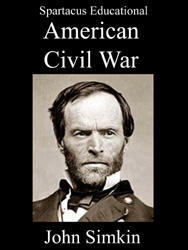 The Confederates lost 5,200 men. On hearing the news, Robert E. Lee decided to abandon Richmond and join Joseph E. Johnston in an attempt to halt Sherman's army in South Carolina. After the war Pickett worked in the insurance business in Virginia. George Pickett died in 1875. His book, Soldier of the South, General Pickett's War Letters to His Wife, was published in 1928. The sacrifice of life on that bloodsoaked field on the fatal 3rd was too awful for the heralding of victory, even for our victorious foe, who, I think, believe as we do, that it decided the fate of our cause. No words can picture the anguish of that roll call - the breathless waits between the responses. The "Here" of those who, by God's mercy, had miraculously escaped the awful rain of shot and shell with a sob - a gasp - a knew - for the unanswered name of his comrade called before his. Even now I can hear them cheering as I gave the order, "Forward"! I can feel their faith and trust in me and their love for our cause. I can feel the thrill of their joyous voices as they called out all along the line, "We'll follow you, Master George. We'll follow you, we'll follow you." Oh, how faithfully they kept their word, following me on, on to their death, and I, believing in the promised support, led them on, on, on. Oh, God! I can't write you a love letter today, my Sallie, for, with my great love for you and my gratitude to God for sparing my life to devote to you, comes the overpowering thought of those whose lives were sacrificed - of the brokenhearted widows and mothers and orphans. The moans of my wounded boys, the sight of the dead, upturned faces flood my soul with grief; and here am I, whom they trusted, whom they followed, leaving them on the field of carnage. Lee's surrender is imminent. It is finished. The cloud of despair settled over all on the 3rd when the tidings came to us of the evacuation of Richmond and its partial loss by fire. The homes and families of many of my men were there, and all knew too well that with the fall of our capital, the last hope of success was over. It is finished! Thousands of them have gone to their eternal home, having given up their lives for the cause they knew to be just. The others, alas, heartbroken, crushed in spirit, are left to morn its loss. Well, it is practically all over now. We have poured out our blood, and suffered untold hardships and privations, all in vain.